So God is Only Human? For God so loved the world that he did what many other people would have done — only to undo all his good with a much worse act later. One mind-game that keeps recurring in my recent and current readings in the nature and origins of our moral sense is the trolley experiment. You see a trolley is running out of control along railway tracks and is about to kill five people hedged in by high banks on the track ahead. 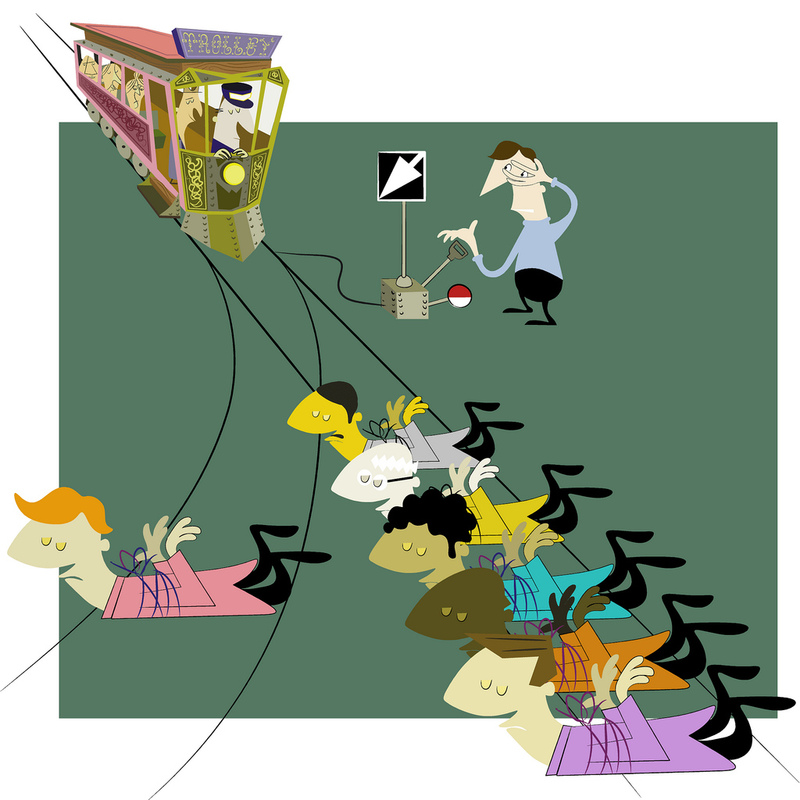 You have the option of pulling a lever to re-route the trolley to a side-track but there is another person similarly trapped there and who will die of you do. Is it permissible to pull the lever so the trolley kills the one but saves the five? Most people say it is. So far, apart from the theological monstrosities, does not God’s great act of salvation appear to be little more than a perfectly natural human act in accordance with perfectly natural human ethics? The mind-game gets more interesting if we introduce some variations. What about tossing a very heavy bulk of a man onto the track to stop the trolley if there is no lever to save the five; or what about pulling a lever that will drop the heavy bulk of a man on to the track so you don’t actually push him, and so forth. Then there are other types of variation to introduce. One of these is having the solitary person on the side track being a close friend or relative of yours, perhaps your child? What if the five people are all staunch supporters of [fill in your most hated politician/party here]? Then try the variants of scale. What if not just five people were doomed but an entire city by something accordingly matching the trolley? If you saw the entire population on earth was doomed and the only way to save them was to allow your child to die, what would you do? It would be horribly painful but I suspect some, even many, people would even sacrifice their child. Would God, then, have been any better than many mere mortals?